The issue of employment in the oil and gas industry has been a hot topic for a while, and a skills shortage has been identified as a top barrier to growth for the industry, even overtaking important challenges such as rising costs. At its 16th Forum in India in 2018, the International Energy Forum (IEF), in collaboration with The Boston Consulting Group, described the shortage of new talent in the industry as an acute labor crisis. 50 percent of the industry’s workforce is expected to retire in the next five years, and the ratio of retirees to new employees who will enter the industry workforce is a worrisome 2:1. Part of the problem is the industry’s growing unattractive appeal to the younger generation, which tends to perceive the industry as old-fashioned and redundant. Technology, particularly digitalization, may well provide the solution. While many see a jobless future as an inevitable consequence of technological developments, in reality, novel skills will be required — and new opportunities will be created accordingly. Advances in machine learning and robotics are continuing to push unemployment rates down to historical lows. Digital technology will bring significant positive changes to the nature of employment in the oil and gas sector in several ways. First and foremost, it will help the industry establish a more modern image that is more appealing to younger generations. 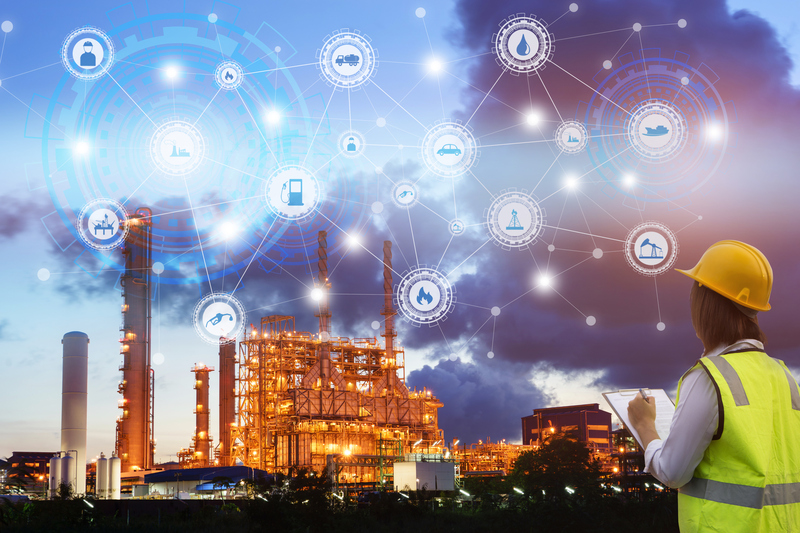 The technology used today throughout the supply chain to get the oil and gas from the wellhead to the customer is among the most sophisticated technologies deployed in any industry, and a far cry from the early days of oil and gas activities. Just think of all the cutting-edge operations required to drill in remote areas, thousands of meters below water level and seabed, or the super-fast, gigantic computers developed to process geological and seismic data! The oil and gas industry is a giant digital industry itself, working closely with the most established technology providers and platforms like Google, which should make it particularly attractive to young graduates. The sector has a natural fit with these digital platforms because of the massive amount of complex data it produces from every single well, from different regions and projects on a daily basis. Digital technologies’ application in the oil and gas industry will modify the skillset required to complete a specific task, which in turn can enhance the industry’ appeal to graduates. Ron Beck, industry marketing director at AspenTech, explains: traditionally, the longer the experience one had, the better the insights he/she would possess to make important decisions. Today, digital technologies, particularly machine learning, can process massive data collected from different projects and applications within a very short period of time — and then places that intelligence in the hands of smart young graduates, allowing them to make real decisions (including some that couldn’t have been made before) more effectively and efficiently. Decades of experience become increasingly less relevant. Ron Beck, industry marketing director at AspenTech, speaking on the impact of digitalisation on employment in the oil and gas industry at the seminar organised by Access for Women in Energy on 11th October 2018 in London. Furthermore, only a few years ago, a typical petroleum engineer would spend a significant proportion of his/her time organizing data, with the remaining time spent on analysis. Today, thanks to digitalization, that same engineer can focus on the analysis while leaving the machine to handle the data. The outcome is, again, a faster, more efficient and creative decision-making process. Then there is the additional benefit of greater mobility and transfer of skills. Since digital technology is not exclusive to the oil and gas industry, new entrants to the industry will have more mobile skills that they can apply across various industries. This reduces their vulnerability to the price cyclicality of the industry, which has acted as a disincentive for some people to enter the sector. Technology on its own can have limited effects. To fully take advantage of key innovations, existing skills within the industry need to be upgraded. Petroleum engineers, for instance, who typically have a technical background, need to develop new skills requiring them to understand coding and data science. Also, academic institutions should revisit their module offerings and adapt their teaching practices to the digital world’s needs. Equally important is the commitment of senior management within oil and gas companies to fully embrace the digital revolution. The International Energy Agency found that risk-averse management is one of the leading causes behind the relatively slow adoption of new technologies, irrespective of their potential, in the oil industry. The deployment of innovative technologies in such “cautious” companies requires high-level management approval, which often leads to a slow pace of modernization. A more flexible company culture that supports faster technology development and deployment will further help the industry to avert a potential employment crisis.